SUMMARY: Consists of 27 contemporary poems, an additional 18 Zen poems, and 1 piece of flash fiction that all work together to develop the main theme of exploring the Timeless Lore of our past and cultivating it to bring forth the new seeds of thought and knowledge to sow and plant for future generations. The book also contains an article on contemporary poetry, and there is a final surprise bonus at the end of the book to spice up life. THE BACK STORY: Dropping Ants into Poems was conceived and written during National Poetry Month, April 2016. It was a challenge to myself to write a new chapbook, 28 poems, in 30 days. The poems were still the product of my 46 years of writing poetry, but were written from the solitude of a mountain get-away, and my foothills office as I isolated myself for a month to do nothing but dream up and work on this project. The end result was 27 poems with the 28th poem actually becoming a compilation of 18 Zen poems. It also features an article on contemporary poetry and a secret recipe for Navarro’s Greek Seasoning. WHY THIS TITLE: It is explained in the foreword of the book. Briefly, ants are insects, the study of insects is entomology; the study of words and word origins is etymology. Put the two together and you get ento-etymology or an “in-secti-vestigation”. Billy Collins wrote a poem that mentioned “dropping a mouse into a poem…” so I played off that in one of my poems in the book explaining why it is better to drop ants into a poem. It will all make sense when you read the book. WHY SOMEONE WOULD WANT TO READ IT: To make sense of the bizarre title and find out what kind of zany stuff resides in the head of this crazy poet. Just kidding. It is good poetry that makes sense up front, yet it still has a good degree of word-play in it, and some layered meanings. The whole concept is quite an amusing and entertaining theme, the “germination” of seed and the seeds of thought, ants crawling into poems to find the seeds of language and then tracing the word origins back to their nests. The main speaker or persona of the book reveals the “rebellious” child in himself, who skirted around formal education to read the “Timeless Lore” to be found in libraries, on bookshelves, in desks, in schools, in electronic devices, wherever “word colonies” reside nestled between covers. 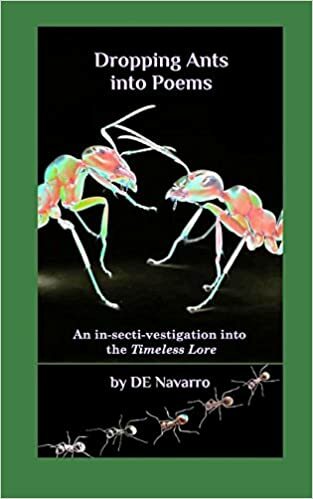 REVIEW COMMENTS: “In this delightfully quirky collection, DE Navarro travels from sports teams to Ancient Rome, from the Western World to the Far East, from war to peace, from the genesis of life to a view of how we contribute to the unfolding of our future. There is societal commentary, and contemplation on personal growth, unique images of nature and captured moments of current culture. Many of the poems are philosophical, occasionally ironic, but overall deeply hopeful, infused with energy and optimism. The forms vary, but the collection is unified by the unique voice of the poet. The poetry is unusual, pushing some boundaries, but always gently, sometimes playfully. I am enjoying it very much.” — Vera, Jan. 22, 2017. 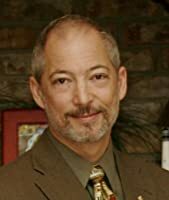 AUTHOR PROFILE: http://www.de-navarro.com David Eric (DE) Navarro — Los Angeles, California, USA Founder of NavWorks Press; Author, Poet, Editor, Publisher, Speaker, Life Coach. Originator and owner of the We Write Poetry™ forums and the Pride in Poetry Prize™ and Publication series. Husband, father, mentor and friend. Professional banking Sr. Analyst, Tech Editor/Writer. Born in Newport R.I. in 1962, his family moved to Chicago, Illinois by 1964 where he was raised in the inner city on the Southside until he was ten years old. At ten his family moved to the rural setting of Crown Point, Indiana where he learned to enjoy nature, free to roam in fields of swaying grass and wooded copses rich with ponds and swamps. WHERE ELSE TO BUY IT: Worldwide at any bookstore (it can be ordered), or at any online bookstore like Amazon, Barnes & Noble, Books-a-Million,etc. PRICE: It retails for $10.00, but I sell it for $5.00 at the Curio and it is signed besides.